Underground and Aboveground dog fence systems. Brand Names of PetSafe, SportDog, Perimeter Technologies, Dogtra and Dogtek. Now, some systems available with NEW, STRONGER, "WiseWire". 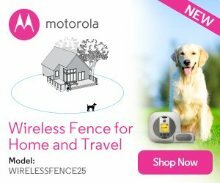 PetSafe Indoor and Outdoor Wireless, Perimeter Technologies WiFi Wireless, Motorola Wireless and the D.E. Systems GPS Containment, Training and Tracker all in one unit. 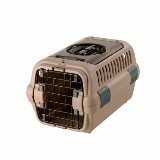 PetSafe Underground (or aboveground) wired Outdoor Cat Fence System, and the Indoor Wireless Cat Fence System. Supplies for your pet fence system including boundary wire and flags, sod staples, dog fence receiver collar batteries, wire break locator, and lightning protection. PetSafe and Invisible Fence replacement nylon collars. Do you have more than one dog? If so, all you need is another PetSafe, Innotek, SportDOG, Dogtek, Garmin, Dogtra, Motorola or Perimeter Technologies extra receiver collar. Nylon Dog Fence replacement straps by Leather Brothers. Replacements for PetSafe, Invisible Fence, DogWatch, Dog Guard, Pet Stop and Contain-A-Pet. PetSafe, E-Collar, SportDOG, Dogtra, DOGTEK & Garmin Electronic Correction Bark Collars, Spray Collars and Spray refills, Ultrasonic Bark Collars and Outdoor Ultrasonic Bark Control Bird House. All are effective ways to stop the annoying barking dog in a safe and fast method that will fit your budget and your dog's special needs.. Remote dog training collars are designed to assist in the training and the behavior modification of your dog(s). From 1 dog up to 6, we carry PetSafe, SportDOG, Dogtra, E-Collar Technologies, DOGTEK, Motorola, DT Systems and Eyenimal remote training shock collar systems, replacement transmitters and replacement collars. The Spray Collars for both barking dogs and training your dog, are safe, comfortable, effective for any size pet, and has no secondary side effects such as pain or fear..
GPS Dog Tracking Collars. Two top brands SportDog and Garmin. The new D.E. Systems GPS Containment, Training and Tracker all in one unit. 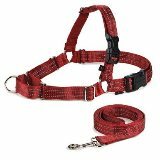 K&H Pet Products dog harnesses. Leather Brothers harnesses. Pet Safety Car Harnesses. Leather Brothers, OmniPet, Nylon Replacement Dog Fence Collars, Nylon Paw print Dog Collars, Advantage Wetlands Camouflage, Reflective Kwik Klip, and Leather Dog Collars. Airline Approved Dog & cat backpacks, handheld, wheeled and plastic pet carriers. Argo, Richell and Pet Gear Dog Carriers. 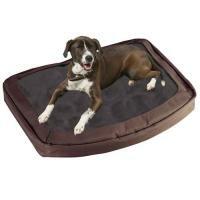 PetSafe Heated Dog Beds, Dolce Vita, Snoozer, and K&H Dog Beds, Cool Bed III Dog Beds. PetSafe designed the Dog Door to be easy to use, and easy to install. PetSafe dog doors are designed to fit in almost any door or wall. We also have the Endura Flap Dog Door, the best, most highly engineered pet door flap ever made. Dog Kennels set-up in just minutes and provide containment for your pet that is permanent, yet portable enough to be easily repositioned. Soft Dog Crates are both attractive and durable, easy to set up, and extremely lightweight. Our wide selection of portable dog crates and collapsible dog crates make them an excellent choice for the family that travels with their pet. Plastic folding dog crates, metal folding one door, two door and three door dog crates. Deluxe Wooden Dog Crates. Puppy crates and dog crate beds and covers. Wicker dog crates. Bench and Bucket Seat covers for dogs. PetStep II Folding Dog Ramp, Telescoping Dog Ramp. Solvit Pet Stairs and the Solvit HitchSTEP. 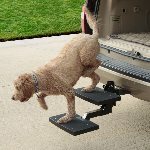 Pet Gear Easy Step Dog Stairs. Heated and unheated car seat covers, car seat harnesses, booster pet seats, car & SUV dog barriers. Drinkwell/PetSafe pet fountains, replacement filters and cleaning kit. Walk through pressure gates, auto lock dog gate, dog gate for irregular openings, plastic dog gate and wooden dog gates. From 5 lbs to up to 115 lbs., We carry a complete lineup of Pet Strollers for Dogs, Strollers for Cats, Strollers for any type of pet you may have in your family.We carry all weight classes and sizes of Dog Strollers. Plastic Cat Doors, Cat Screen Doors, Staywell Infra-Red Cat Doors. Mr. Herzher's Cat Furniture. Solid wood construction: Not a bit of flimsy particle board or cardboard in this cat furniture. We carry the most advanced wireless dog fences, dog doors, electric dog fencing, WiFi wire free dog fencing, dog shock collars, bark control collars, underground fences, and dog containment systems on the market today. We offer outdoor and indoor wireless and wired electric dog fences. 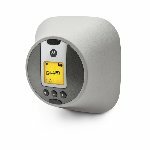 PetSafe underground dog fences and wireless dog fencing is designed with you and your pet in mind. Also, have a look at our Innotek, SportDOG and Perimeter Technologies dog fence systems. The SportDog dog fence system can contain your pet in yards up to 100 acres. Innotek also has the Contain and Train Dog Fence system that can contain and train your pet using the same collar. We also carry PetSafe, Innotek, SportDOG, Dogtra, Tri-Tronics and Perimeter Technologies remote Dog Training Collars, boundary flags & dog fence boundary wire, dog crates, cages and exercise pens, dog kennels & dog pens, soft dog crates, both heated and cool dog beds, dog ramps, pet strollers, wooden dog houses, cat litter boxes and other pet products. In December 2006, PetSafe acquired Innotek Pet Products and Invisible Fence. Now you can get the best selling pet fence from the top companies in the industry all in one place - right here at PetsContained.com! PetSafe and Innotek are the #1 dog fence systems in the world! PetSafe, Innotek, SportDog and Perimeter Technologies Dog Fences have dramatically changed pet containment systems. You do not need to spend thousands of dollars on traditional wood or chain link fencing. These dog fencing systems use technologically advanced collars creating an invisible radio barrier that dogs will not want to cross. These dog fence systems are easy to install and after a few training sessions, your dog will never run away again. Dog fences have evolved over the past 25 years. The expensive and somewhat ugly chain link dog fences have fallen by the wayside in favor of the new electronic dog fences, which use invisible radio waves. Dogs have a habit of jumping over or digging under chain link dog fences or other solid barrier dog fences. The new dog containment fence systems have shown themselves to be not only an effective pet product, but safe and humane as well. The newer dog fences are also available in an Innotek contain and train dog fence as well as a WiFi wire free dog fence from Perimeter Technologies, both creating a safer barrier for your pet.